Place the bag of Ocean Mist Farms Season & Steam Brussels Sprouts in the microwave for 4 minutes. Meanwhile, start making the poppyseed dressing by combining the yellow onion, honey, lime juice, dijon mustard, olive oil, and mayonnaise in a small food processor or blender. Pulse until well combined then add the poppy seeds. 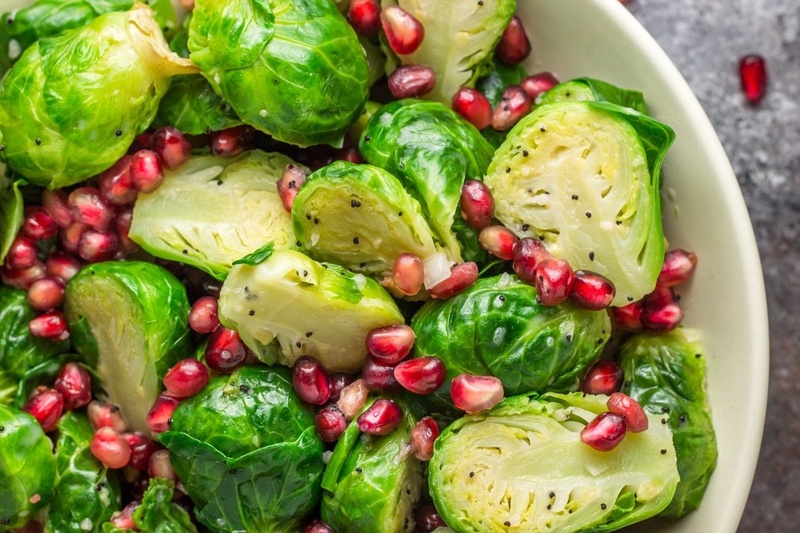 Place the cooked brussels sprouts into a large dish and add the pomegranate seeds. Drizzle the poppyseed dressing over the top and serve immediately.